Today’s art project was simple, included a teaching moment about gratitude, and took minimal prep (and minimal cleanup). First we gathered up some green: stickers, paper, die-cuts, markers, crayon, glitter, and anything else on hand. Then I helped my little leprechaun cut out a basic hat, strips of colored paper (for paper chain), a pot (for end of rainbow), and some yellow circles (gold treasure). The comes the part my daughter always loves – working with glue! She glued festive swag to the leprechaun hat, arranging things just the way she liked. We made a paper chain together and added a pot o’ gold to the bottom. We talked about gratitude as we worked and she wrote the names of her friends on the pot of gold to represent what she “treasures”. I took advantage of the opportunity to tell my little leprechaun that I’m thankful for her and that she is treasured. After clean-up we hung the hat on our fridge and proudly displayed the pot of gold on our front door in place of a wreath. 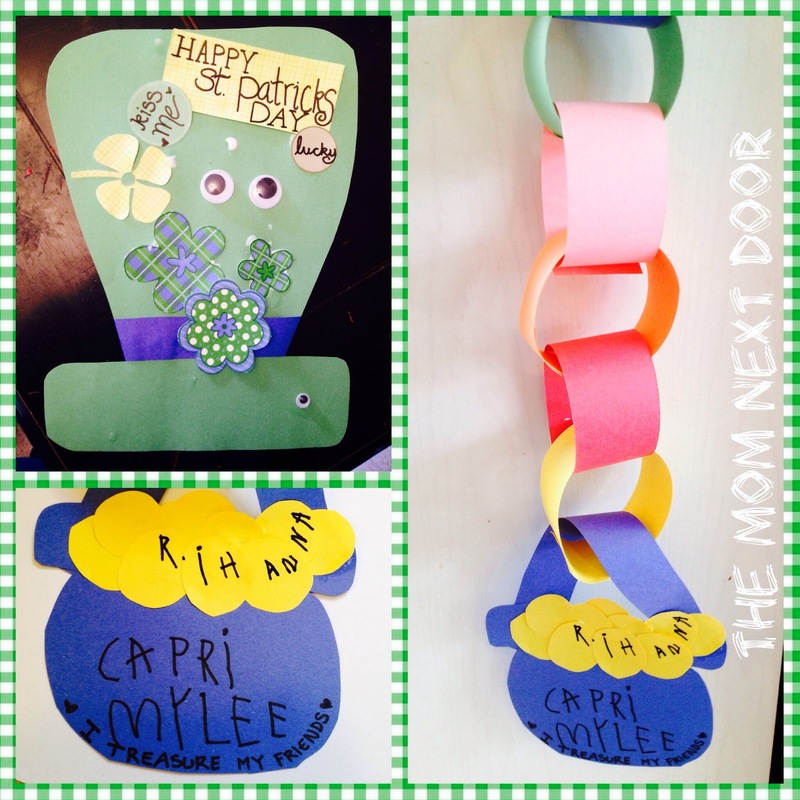 Happy crafting to you and your leprechauns!